The U.S. Department of Transportation (DOT) said it opposes consumer protection measures in a Senate bill that would require, among other things, new rules governing involuntary bumping and the disclosure and regulation of airline fees. 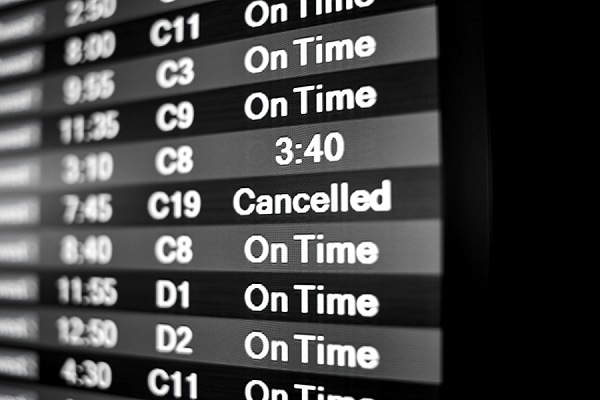 Under Senate Bill 1405, the DOT would be required to examine flight cancellation fees, checked baggage fees, seat selection fees, flight change fees, and “any other fee imposed by an air carrier relating to a flight in interstate air transportation,” to determine if they are reasonable and priced to the consumer at a level appropriate to the expense incurred by the airlines. In 2017, U.S. airlines earned about $7.5 billion in baggage and reservation change fees, and recently many consumer advocates have begun to complain about whether carriers are taking advantage of air passengers. In the letter to Senator Bill Nelson, ranking member of the Committee on Commerce, Science and Transportation, Owens specifically called this requirement “one of the more objectionable” Senate provisions. Owens also sent a similar letter to Committee Chair John Thune. Additionally, the Trump administration called “objectionable” rules that would bar airlines from denying seats to passengers who have already checked in or were cleared by the gate attendant to board. Owens stated that such a rule would make it more difficult to oversell a flight to compensate for no-shows, or potentially outright prohibit the practice. The letter comes as the Senate prepares to begin discussing legislation to reauthorize funding for the Federal Aviation Administration (FAA). In April, the House of Representatives passed their version of a FAA reauthorization bill, 393 to 13. Senator Thune’s office did not reply to a request for comment by press time. One area where the DOT agrees with travel advisors, and the American Society of Travel Agents (ASTA), is section 3108 of the Senate bill, mandating the disclosure of fees to consumers by the airlines and “ticket agents … at all points of sale.” While ASTA and agents have lobbied for fee transparency, they also have expressed their concern about the potential burden imposed on agents from having to read a long list of fee disclosures to clients over the phone. “In consultation with our members, we look forward to working with Congress over the coming months to ensure that consumers are fully protected in the travel marketplace and have access to the comparison shopping, unbiased advice and personal support that only ASTA member companies provide,” Peck said.